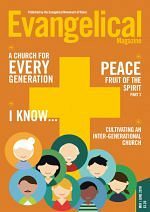 Malpas Road and Emmanuel Evangelical Churches in Newport have known a measure of inter-church fellowship through the work of EMW and AECW, but recent years have seen the commitment to that fellowship increase in a conscious way. As an outflow of the Ministers’ Fraternal, in November 2013 seven churches cooperated in a week long evangelistic effort with the help of Roger Carswell and Vinny Commons. We prepared for the week with a number of joint prayer meetings and made the book Real Lives available for free distribution. During the actual week we used a mixture of neutral venues and local churches. There were gender specific meetings built around meals, as well as topical meetings focused on interest groups and also regular Sunday services where we were prepared to close our own churches in order to make a definite statement on inter-church fellowship. We produced a newspaper that included local as well as national testimonies. Open-air meetings were used where the approach was trying to engage people in immediate discussion and interaction. 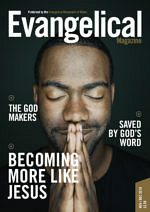 It has to be said that the overall, immediate, measurable evangelistic impact was limited. None of our churches saw a huge increase in numbers but the commitment to inter-church fellowship and cooperation was forged and continues. The newspaper was an effective tool and generated discussion in a number of areas. Sadly the use of neutral venues did not generate a marked increase in attendance. We remain committed to the belief that the preaching of the Word is the primary means of evangelism but we recognise that friendship and ongoing relationships are the primary means of getting people to cross the threshold of any venue. We have agreed that the seven churches will probably attempt a similar approach in 2018, i.e. five years after the 2013 event but our two churches continue to develop our cooperation in evangelism and fellowship. The most tangible element in this is the sponsorship of a part-time worker with CAP (Christians Against Poverty). After a few years discussion with CAP our two churches agreed in 2015 to appoint Neil Jenkins, a deacon at Emmanuel, to be the one face of our joint evangelism in this area. Each week sees Neil making contact with non-church people confronting the issues of debt. He does this with other members from both churches. He was formally appointed at a joint meeting in September where CAP was represented by Nathan Davies. The special Christmas meetings at Emmanuel saw non-church people attending who were a direct result of CAP. We also see them at bridge-building events like Coffee Morning, Toddlers and Family Fun Days. 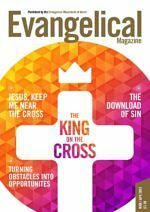 Our mutual commitment to the Great Commission means that we, in cooperation with EMW, came together again for a major evangelistic week leading up to Easter this year. We prepared for this with joint prayer and leadership meetings. We invited Vinny Commons to join us so that there would be a clear commitment to open-air work. He also spoke at the Men’s Breakfast, Coffee Morning, Toddlers and two of our Sunday services. We also made a conscious decision to invite local ministers and Christians to be the main speakers. 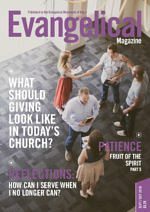 We produced 6,000 copies of a good quality newspaper containing testimonies of church members and speakers, as well as articles relevant to the week’s theme, ‘A Passion for Life’. We made copies of Dorothy Carswell’s book of the same title available well before the week, so that they might be given away and used as a ‘taster’ for any interested. Members of both churches were provided with bookmarks to focus their prayers in preparation but these also had space for the names of three people that might be prayed for in preparation for the week. The ‘week’ started with a Men’s Breakfast at the local Wetherspoons where we used an open area, rather a closed room. It had the desired effect; a man who overheard what was going on joined us to express his disagreement. At least contact was made. Those attending included a number of non-church men. The week included two Sundays; on both, each church joined the other for the evening service, making the big decision not to meet in their own building. That was not an easy decision for some but generated a real spirit of fellowship, especially on the final evening of the event when everything had risen to a climax. The majority of meetings did not include congregational singing but the Bible was always read and prayer offered. The fact that our dates included Palm Sunday, Good Friday and Easter Day meant that we could deal with central gospel issues in a recognised context. Andrew Norbury addressed the question on Good Friday, ‘Can a Dying Man Give Life?’, while on Easter Sunday Evening Paul Gamston explored, ‘Can Dead Men Live Again?’ His message climaxed in a wonderful consideration of the resurrection in 1 Corinthians 15. Each day the Malpas Road building was open for local schools to visit the ‘Easter Eggsplained’ display provided by ICE (Initiatives in Christian Education). Four schools came and 190 children received a clear presentation of the events of the first Easter. On Monday evening our ladies invited friends to the neutral venue of the YMCA where over 100 women enjoyed a buffet and heard the testimony of Ann-Marie Miles. Probably 40% of those attending were invited guests. Meetings on Tuesday, Wednesday and Thursday evenings focused on specific subjects. Tuesday evening at Emmanuel addressed the subject, ‘When Life Hurts’ and consisted of an interview with Dr Liz Moffat who is suffering Stage 2 MS. Trystan Hallam, who himself has suffered cancer and depression, preached powerfully from the book of Job. Those attending on Wednesday evening were tantalised by the aromas of food from many different cultures as we met for an International Food Evening. A family from Romania and a ladies’ choir from Zimbabwe provided two wonderfully contrasting styles of music. Both the preacher and the lady giving testimony came from Muslim backgrounds. Again we saw people with no church connections present and taking the multi-lingual literature available. Thursday evening at Malpas Road, Andy Christofides addressed the question ‘Life – Chance or Design?’ He also gave testimony of his own journey from atheism to faith. On the final Saturday both churches had family-focused events where again we saw non-church people present. Throughout the week every meeting provided refreshments to a greater or lesser degree, so that discussions could take place in a more relaxed context. Without doubt, Yes! It was however a full nine days and therefore very tiring. 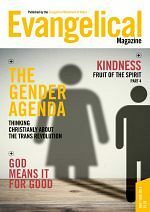 Probably any future focused evangelism would be for a shorter period. Having floated the various topics it has been suggested that perhaps we have one-off events, for example ‘International Evenings’. What fruit has come of it? It is too soon to tell, but each event saw non-church people of various ages hear the Word of God clearly declared and what began in prayer must continue in prayer asking God to give life. We, in faith, have organised a Christianity Explored programme and members from Emmanuel attended the ‘Easter Eggsplained’ programme with the specific aim of trying to gain a contact with local schools. 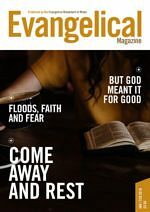 We hope to maintain our regular commitment to inter-church fellowship and ongoing evangelism but recognising the desperate needs in an increasing secular culture we dare not ignore the continuing demands of the Great Commission. Bernard Lewis is the pastor of Emmanuel Evangelical Church, Newport.